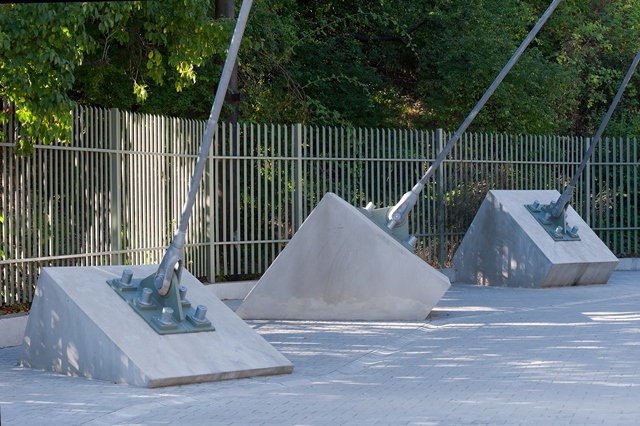 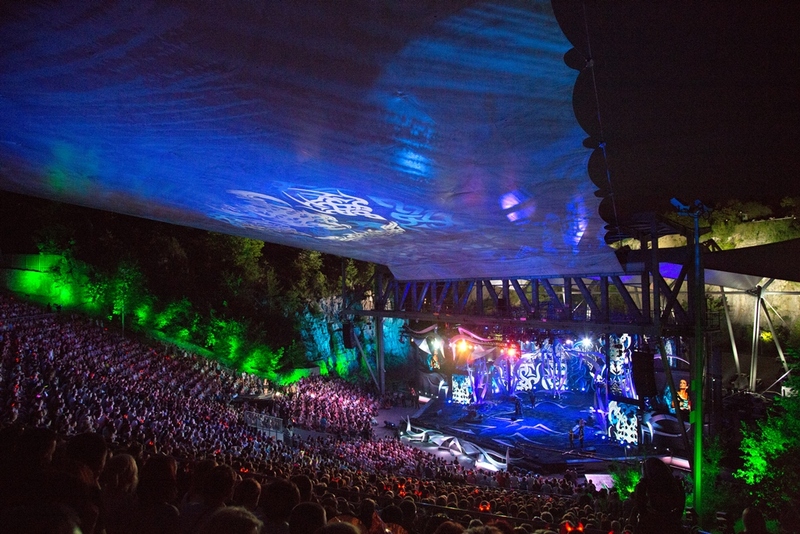 This very special structure, we started to design in august 2009. 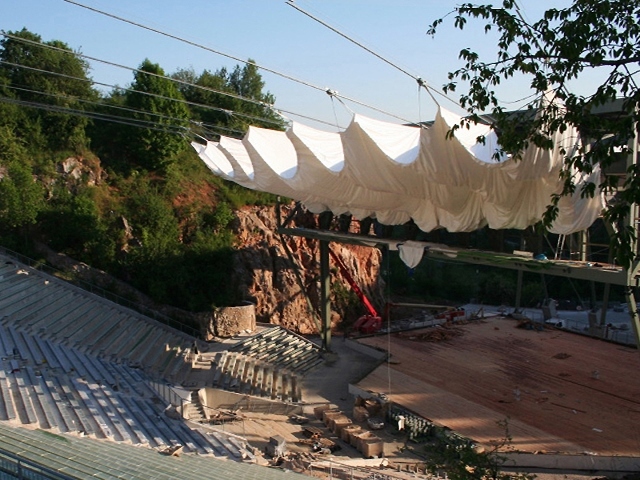 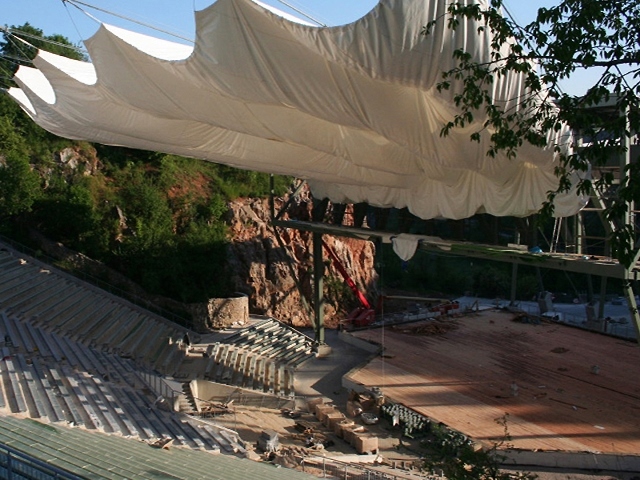 The whole amphitheatre was accomplished in June 2010. 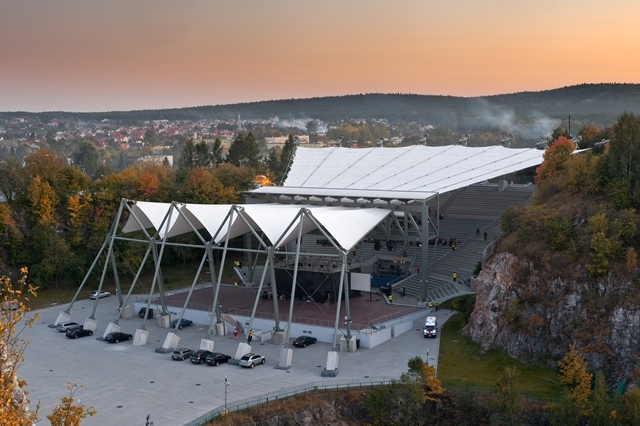 The investment was performed by two companies: Annabud Kielce and SportHalls, both from Poland. 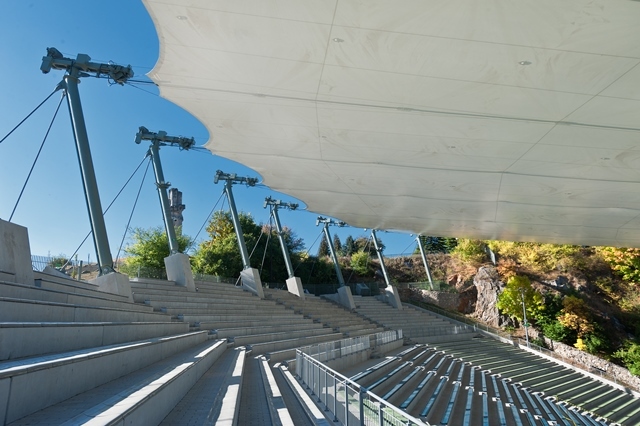 In historic place called Kadzielnia located in Polish city Kielce, the new amphitheater with the retractable membrane roof over the audience and the stable roof over the stage has been erected. 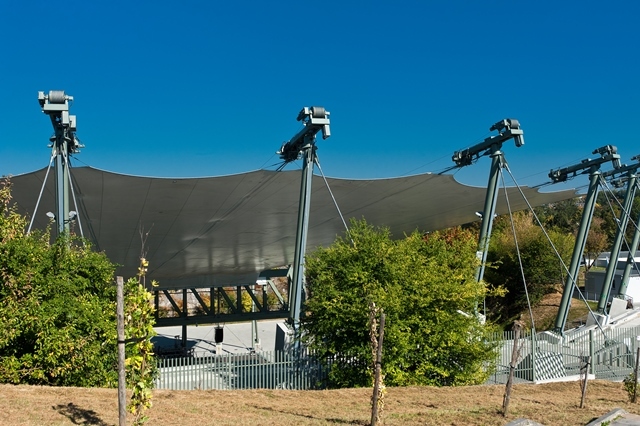 Span of the cable of the stable membrane roof is 35 m. The length of the main cable of the retractable membrane roof is 55 m.
Distance in transverse direction between cables is 3.5 m on the frame and approximately 10 m between columns. 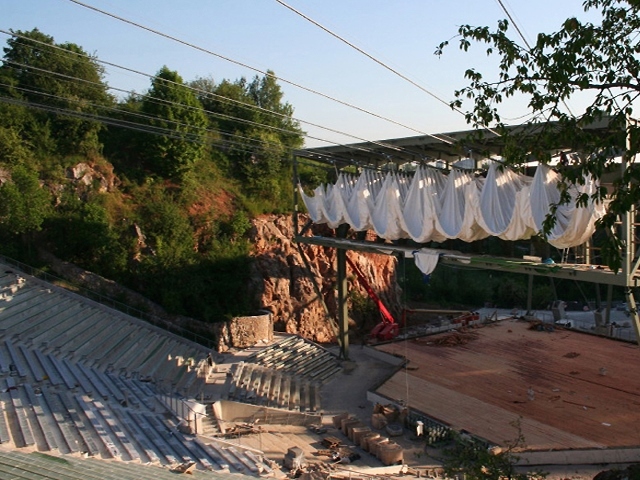 Inner frame is foreseen as a garage for folded membrane, which shall be stored during the winter. 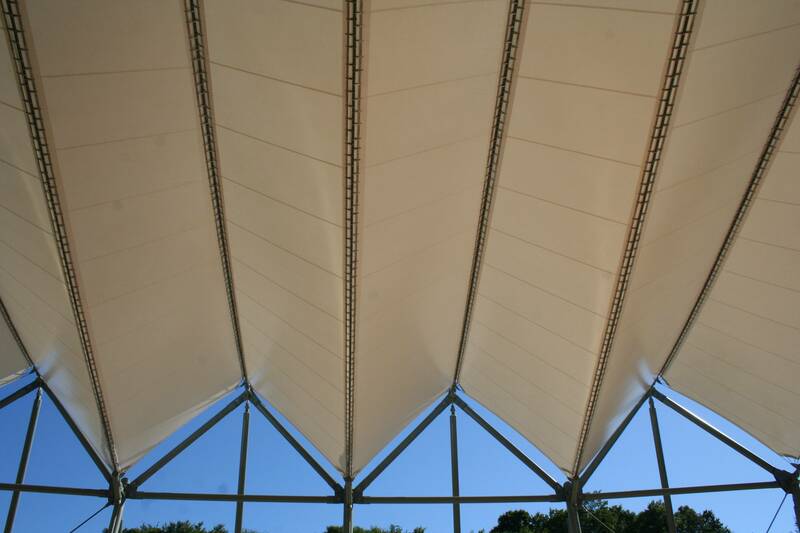 Area of the retractable membrane amounted 2 700 m2, and permanent roof membrane area 1 500 m2, it totally covered the area equal to almost 4 000 m2.